What is more difficult than shopping for Medicare? Finding a supplement policy to go along with it! Instead of worrying about making the right choice for your plan and carrier, ask one of our members to help walk you through the whole process and find a plan that caters to your needs, both physically and financially. Our licensed specialists’ goal is to ease the stress of shopping for a quote, online and over the phone, while exercising our core values of humility and integrity. Original Medicare is federal health insurance for people aged 65 and older. It does not provide comprehensive coverage, such as deductibles and copayments. This creates a need for something to fill in the “gaps”. Thus, Medigap, or Medicare Supplement Insurance, gives you the coverage for the expenses that Medicare does not cover. Medigap is needed to cover the rising costs of drugs and medical procedures that are not reimbursed by original medicare insurance. There are 10 Medigap Policies that provide coverage standardized by Federal and State laws for your protection. Several insurance companies offer these options. The choices and costs vary from one carrier to another. The plans offered also depend on which state you live in. That’s where we come in! PlanMedigap helps you find affordable supplemental coverage to pay for expenses that Medicare Parts A and B do not cover. 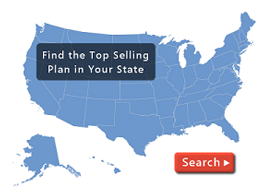 We find the plans offered in your State and compare the best plan for the best price. Our service saves you the hassle of doing all of the research on your own and we provide this service for free. We are here to help you. Our licensed specialists provide you with the best rate and most coverage in your area. Simply fill out our form and a team member will reach out to you, or you can call our number and one of our team members will assist you. We do all of the research and find the best quote for you at no extra expense. One thing many seniors are finding out too late is there is no annual cap on Medicare out-of-pocket costs. No limit to how much beneficiaries may be required to pay if they get very sick or have an expensive medical condition. As over 10 million Americans have already seen, it makes sense to buy a Medigap policy to mitigate that possibility. Protect yourself. Protect your loved ones. Can Plan Medigap really save me money? Different insurance companies can charge different fees for the same amount of coverage. For example, Company 1 can charge $192.50/month for Medicare Supplement Plan L, while Company 2 can charge $100/month for the exact same coverage of Plan L. This is a $1110 savings per year! We work to inform you on all of your supplement options, reducing your monthly premiums and saving you the maximum amount of money possible. Get your Medicare Supplement Rate today! 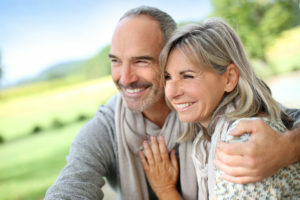 See why senior citizens across America are trusting PlanMedigap to inform and provide the coverage they need…at GREAT savings you can get excited about! We have licensed PlanMedigap Specialists ready to discuss your needs with you and get you on the path to the coverage you need. STEP 2: Compare Plans and Rates. Your PlanMedigap Specialist will provide you with the available plans & pricing in your area. Review plan options & compare company rates and provide you with information you need. Review the options and determine which one fits your needs. Your Plan Medigap Representative will ask you a series of questions which will be used to complete the proper Medicare Supplement Application. 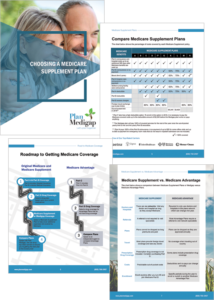 Download our FREE eBook, Choosing a Medicare Supplement Plan, for more information on Medicare and Medicare Supplements. Plan Medigap made everything so easy to understand! I would recommend them to anyone of Medicare age. They took their time with me and made me feel like I was important. You have a customer for life! Plan Medigap took their time explaining the various plans and never rushed me to make a decision. Highly Recommend! Plan Medigap had the lowest rate in my area. Easy decision. Follow-up customer service was amazing too! Lauren is so sweet! Extremely professional group of people here. I was able to save a lot of money by switching companies. I had approval in less than a week!